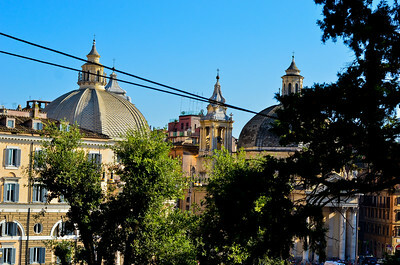 Pictures from the cities and natural areas of Italy. 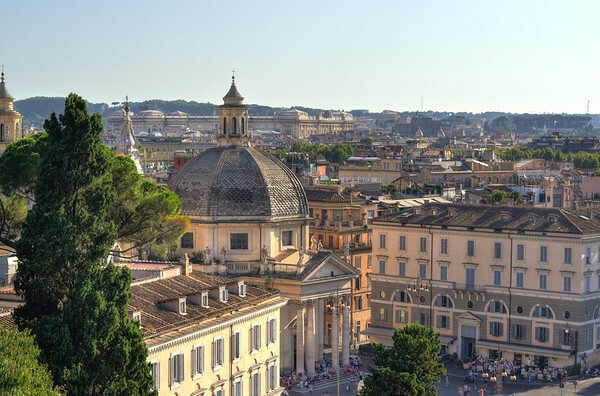 The Vatican is immediately recognizable from countless places throughout Rome. 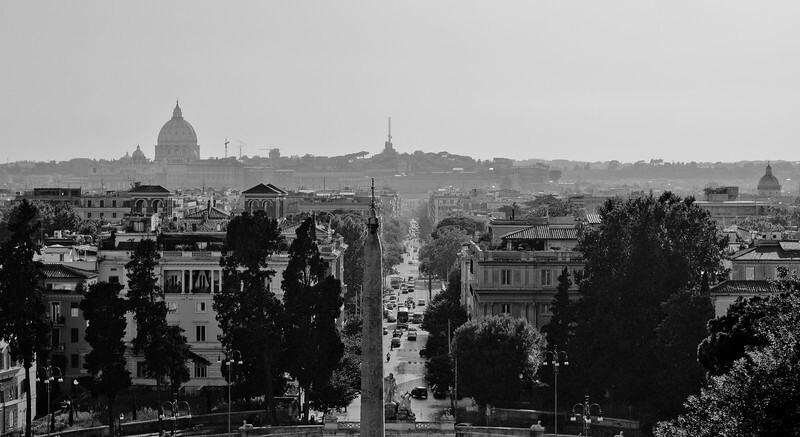 The cathedral stands tall over St. Peter Square. 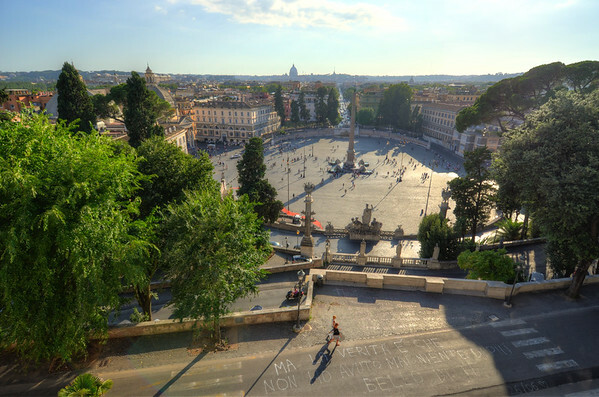 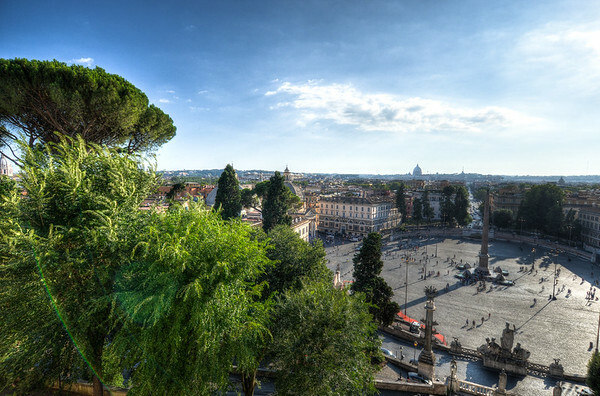 A view of Piazza del Popolo with the Vatican beyond taken from the highest point of the Terrazza del Pincio observation deck. 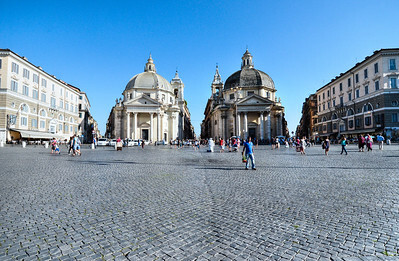 The plaza is the site of the Roman northern gates. 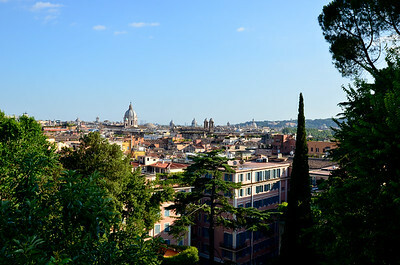 Viewpoints all around the city allow for endless views of the ancient city.. 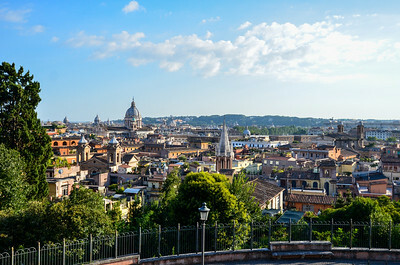 In the distance is the Supreme court of Cassation which is the highest appeals court in Italy. 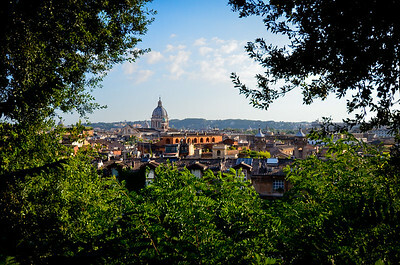 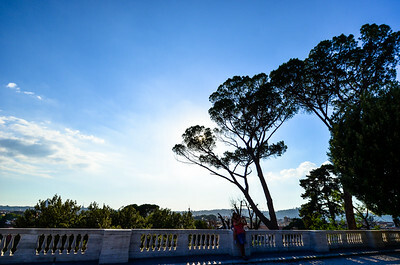 The natural framing using the bushes and trees help create a sense of depth in this southern skyline view with a 17th century Basilica as the centerpiece. 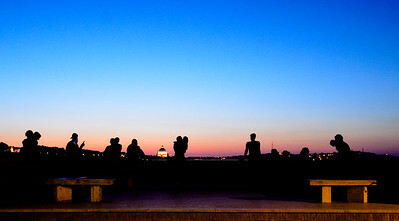 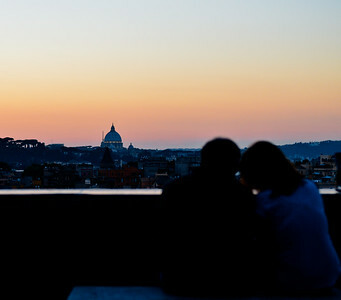 The view overlooking the Vatican is a common place for youth to spend warm summer evenings, sharing conversation, gelato, as well as kisses. 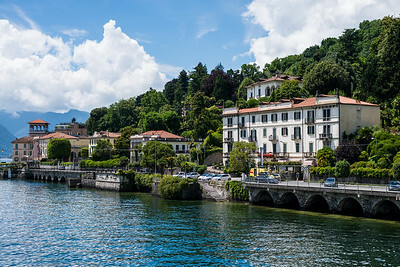 In the small lakeside town of Bellagio on a small side street I saw initially a statue of a Pug sitting comically. 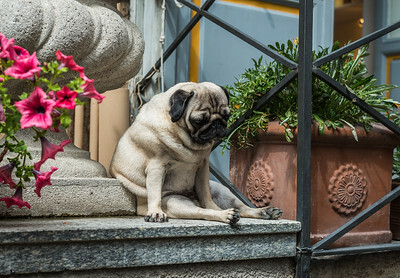 It wasn't until I was closer that I realized this was no statue but a Pug taking a summer break watching passing tourists. 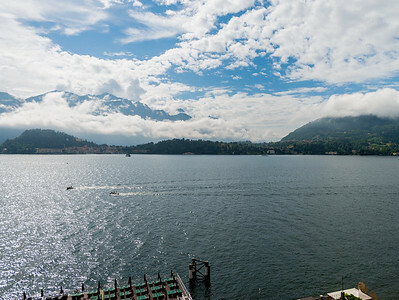 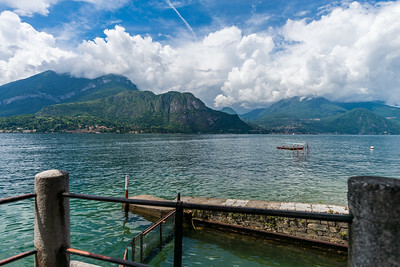 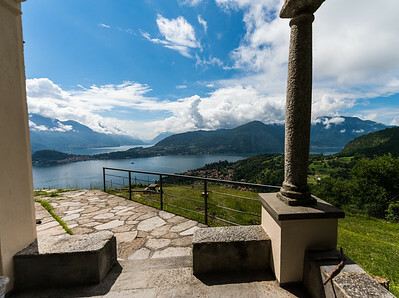 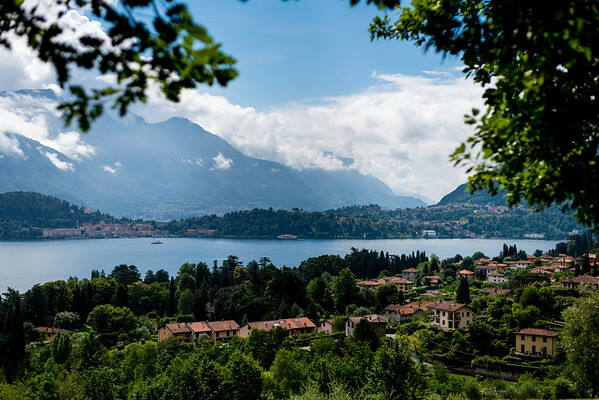 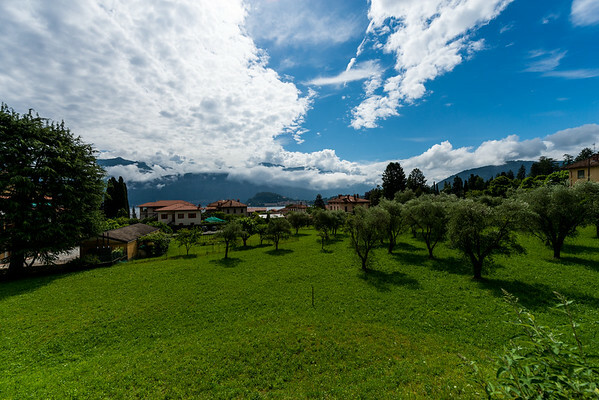 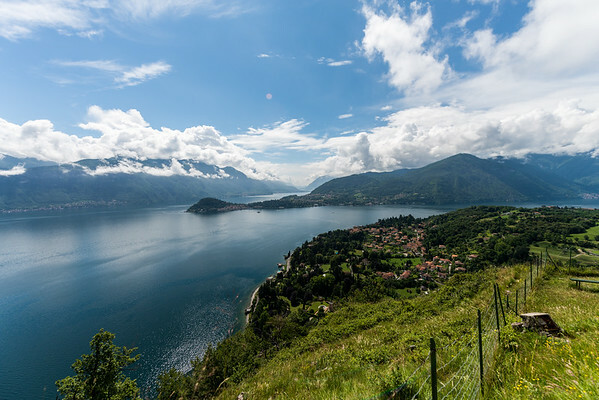 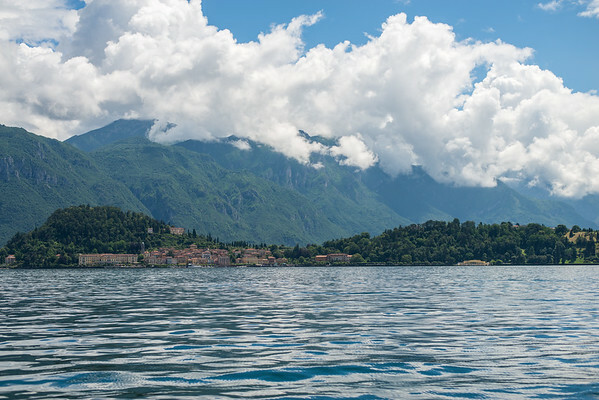 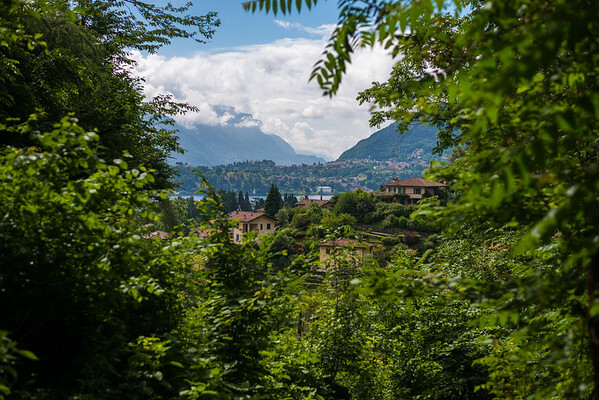 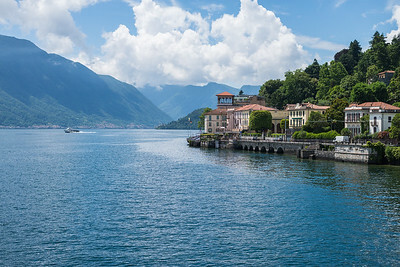 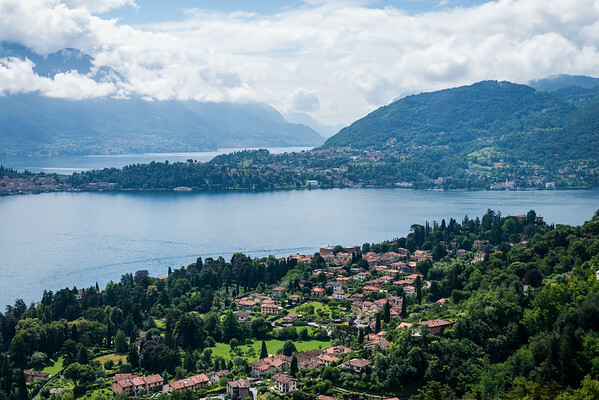 Looking northwest over lake Como towards the foothills of the Alps towards Switzerland..